Here at Nishi Enterprise, we can provide you with an excellent line of top grade flexible couplings such as pin bush type flexible couplings and pin bush couplings. All our couplings are created with the help of top grade raw materials such as cast steel and cast iron. We can also create custom products for you with any other kind of material that you prefer. We make sure that all our flexible couplings go through rigorous quality tests before being approved for sales. This naturally helps us to make sure that our products are hazard free, corrosion resistant and durable. At Nishi Enterprise, we have an extensive workshop and cutting edge infrastructure ready to cater to the mechanical and functional requirements of diverse industries. We regularly work with our industrial clients both in India and abroad and this helps us to come up with highly advanced flexible couplings that can make it easier for them to carry out their functions. Our flexible couplings are regularly used for transmitting torque from one particular shaft to another if the two shafts remain slightly misaligned. These flexible couplings can also accommodate different degrees of misalignments up to about 1.5o. They can also be used for some degrees of parallel misalignment. Our flexible couplings are also designed perfectly for being used for noise reduction and vibration damping. We make use of a number of different materials to construct our flexible couplings from scratch. These include cast iron, carbon steel, stainless steel, aluminum, brass and rubber. Each and every raw material is procured from the best sources which mean they are completely pure and reliable. There are mainly three different types of flexible couplings that we have to offer here at Nishi Enterprise, namely mechanically flexible couplings, elastomeric element couplings and metallic element couplings. Each of these couplings is tested for the highest level of efficiency and productivity before they are approved for sales. Our flexible couplings are used for a wide range of applications, some of which are listed below. Based on the specific functions for which you are looking to buy these flexible couplings, we can create custom units that would help you to save on energy and benefit from greater productivity. 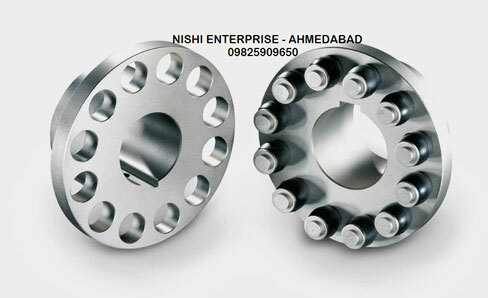 So contact us at Nishi Enterprise for the finest flexible coupling products in India.